A selection of Queen’s Young Leader’s Grantees meeting Alesha Dixon at Buckingham Palace. As part of The Queen’s Young Leaders Grants Week we are highlighting projects across the Commonwealth that have received a grant from the Programme to support their work with young people. On the final day we are featuring the eight projects across the UK which were selected to receive a grant. Each of the projects are using the skills and talents of young people to try to solve the problem of unemployment. Often they use young people as mentors to support their peers to gain new skills and to help them to find work. 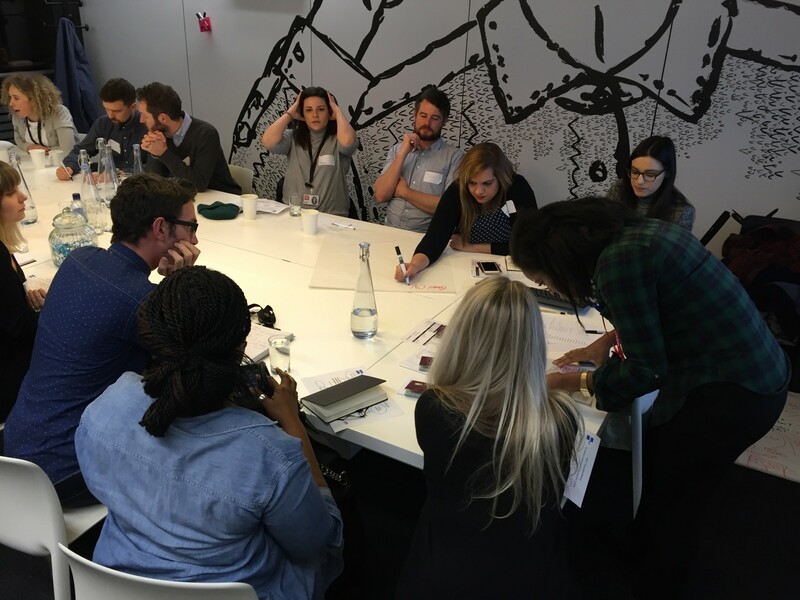 In England Media Trust’s Transforming Hidden Talent programme will support young people in London, Birmingham and Manchester to develop and sustain meaningful careers. At UpRising its A Helping Hand into Employment project will combine its employment programme with a peer-led mentoring approach, to strengthen job opportunities for young people. In Scotland, Who Cares? Scotland will run a training and employability programme, specifically designed around the needs of young people with experience of care. It aims for 80% of those entering its programme to eventually move on from care and sustain positive employment. The Scottish National Council of YMCAs’ Youth Mentoring programme will work in eight locations across the country, supporting young people to develop some of the skills required to move into long term employment. “We are excited at the prospect of supporting young people across Scotland through our mentoring programme as they seek to gain and sustain meaningful employment,” Kerry Reilly, Chief Executive at YMCA Scotland, said. At the Cwmbran Centre for Young People in Wales, staff will use The Progression Project to support the most marginalised and disadvantaged young people to progress into education, training, volunteering and employment. NYAS, also in Wales, will use its Peering Ahead programme to deliver peer-led mentoring and support to young people and care leavers to help them to enter and retain employment. “NYAS will be able to work together to help vulnerable young people in care and on the fringes of care to access accredited training along with a wrap-around flexible package of support,” Bob Towers, Trusts and Corporate Partnerships Fundraiser at NYAS, explained. Over in Northern Ireland, two projects also received grants: Include Youth Northern Ireland and Northern Ireland Youth Forum (NIYF). 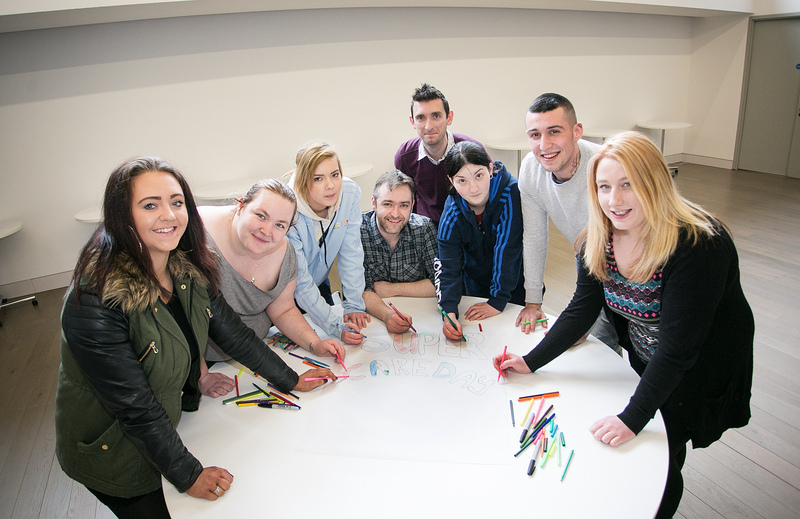 Include Youth Northern Ireland’s Meant to Work programme will train young people to become mentors, to provide employment advice and support for young people who are in, or leaving, care to find the right jobs. NIYF will run a yearly intensive programme for young people that will help them get back to work. Find out more about The Queen’s Young Leaders Grants programme here. UK ONLY: Tonight representatives from the UK projects will appear on the Sport Relief Night of TV, on BBC One from 7pm, after they visited Buckingham Palace to create a short film about The Queen’s Young Leaders Programme with TV star Alesha Dixon.